a tooth that has been forcibly and traumatically displaced from its normal position, usually completely forced from its alveolar socket. In some cases, if attended to early, it can be surgically reimplanted. Also spelled evulsed tooth. See also avulsion. 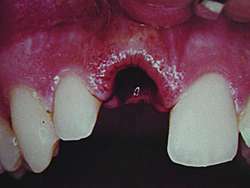 A tooth that has been separated from the alveolus, generally by traumatic action. Tooth that has, as a result of trauma, been separated and completely dislodged from the alveolus. Ideally, the avulsed tooth should be replanted immediately after avulsion or should be stored in a physiological medium such as saline or milk for only a short period till replantation. However, in this case the avulsed tooth was replanted without any chemical treatment of the root surface as tetracycline and fluoride solution were not available at that time. 99% 3 Critical time for avulsed tooth A Less than 15 min 6 10. Milk is an easy and inexpensive method for storage of an avulsed tooth and has a compatible osmolality with the PDL cells. The second part of the questionnaire included 11 questions regarding the knowledge of the participant about the management of avulsed tooth. When asked about the possibility of replanting the avulsed tooth, majority of the school teachers were not aware that permanent tooth should be replanted, however informative lecture improved their knowledge regarding reimplantation. 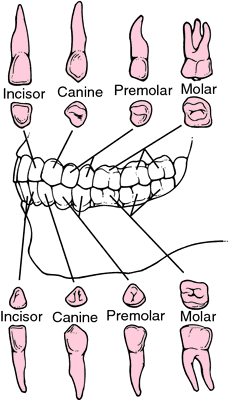 DISCUSSION: The main purpose of the tooth reimplantation is prevention loss of the tooth and restores the landscape of the mouth aesthetically and functionally; tooth reimplantation commonly use for avulsed tooth ; but tooth reimplantation with use of some materials such as hydroxyapatite its not widely use. Consider careful re-implantation of the avulsed tooth. 26 % said that they would replant the avulsed tooth by themselves. 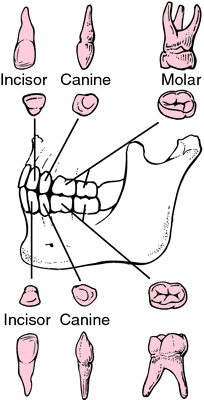 The extra-alveolar time until replanting the avulsed tooth is the major prognostic factor. To replant a clean tooth with undamaged root surface the avulsed tooth should be stored in an appro-priate medium till patient is brought to the dental office. The most preferable management for the avulsed tooth is replantation within 20-30min after injury or transporting it in an appropriate storage medium until the patient can be seen by a dentist for replantation.